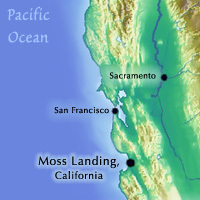 MOSS LANDING, CALIFORNIA– From the presentations on the first day of the SCAR conference it became clear that climate change from global warming is very real. Most of the opening talks, referred to as “Plenary Keynotes,” focused on broad aspects of climate change in the Arctic and Antarctic and the keynote lecturers came from all over the world to share their latest research. In the next few dispatches, I share a few of them with you. 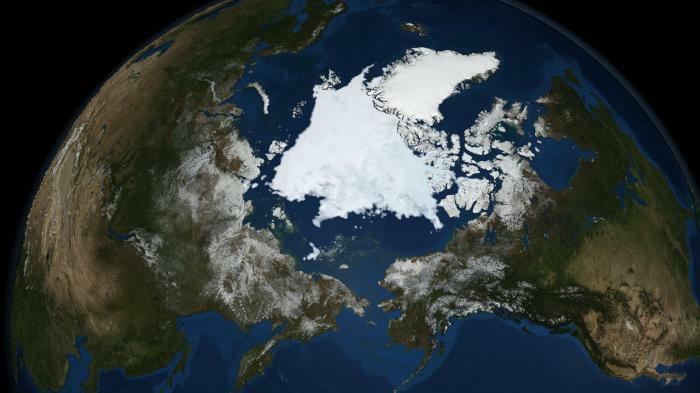 A North Pole without ice? “Arctic climate is more sensitive than models suggest,” said J.C. Gascard of the Centre National de la Recherche Scientifique, University Pierre et Marie Curie, Paris, France, in his plenary lecture on “The changing arctic ocean-ocean warming and sea ice extent.” Sea ice is seasonal ice that forms on the surface of the ocean in freezing environments and extends out from the more permanent polar ice-caps and frozen landmasses. 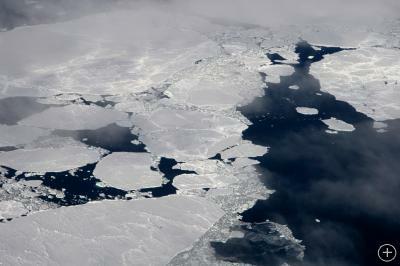 Aerial view of Arctic sea ice. Gascard reported that in 2005 and 2007, the minimum sea-ice extent (which occurs during the summer season when temperatures are warmer) in the Arctic was far lower than had ever been recorded. Moreover, both were far lower than the Intergovernmenal Panel on Climate Change (IPCC) models had predicted. The IPCC is a scientific intergovernmental body established to provide decision-makers with an objective source of information about climate change. Arctic sea ice at its 2008 minimum extent, on September 10. Gascard stressed that the dramatic reduction in the summer extent of Arctic sea ice in 2005 and 2007 were not isolated cases, but part of an evolving trend. 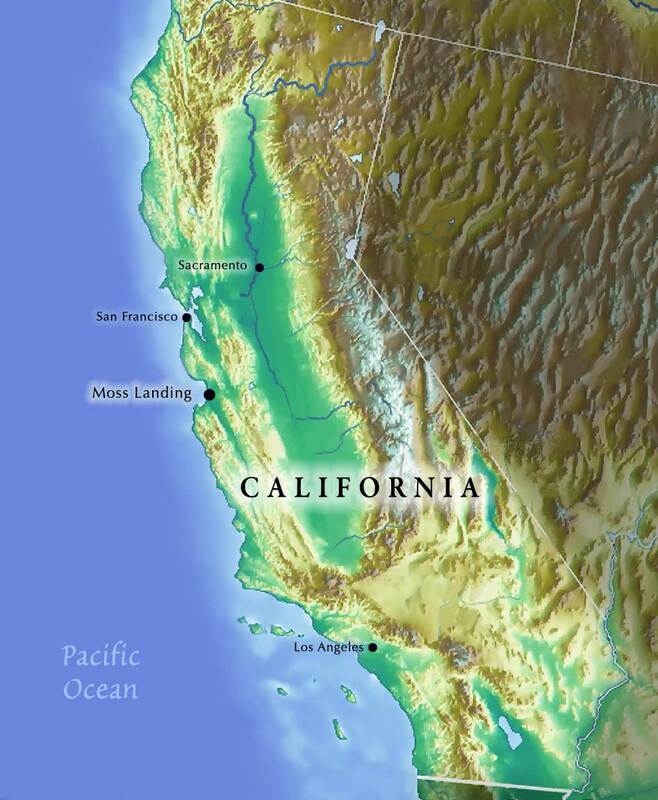 Gascard and his colleagues have observed a gradual long-term warming, including a longer melting season, over the last 20 years. During this time, the mean sea ice thickness has decreased by 1.3 meters in most of the Arctic Ocean. 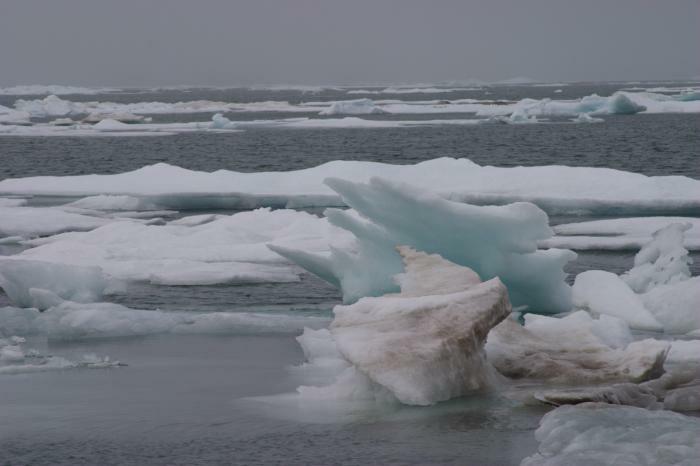 Gascard warned that Arctic ice is likely to continuing retreating and that “it will disappear during the Arctic summer in this century.” So why does it matter that sea-ice is retreating? The most sensationalized result is loss of polar bear habitat, but they are certainly not alone in their suffering since many polar organisms depend on the sea ice for their survival. Furthermore, if the sea ice continues to melt, the permafrost on land will also melt, changing the entire Arctic ecosystem with global implications. Stay tuned to learn more about the Arctic permafrost. thought it was pretty… i would love to go sometime… looking at them for a science project!! nice!! very COLD!! !